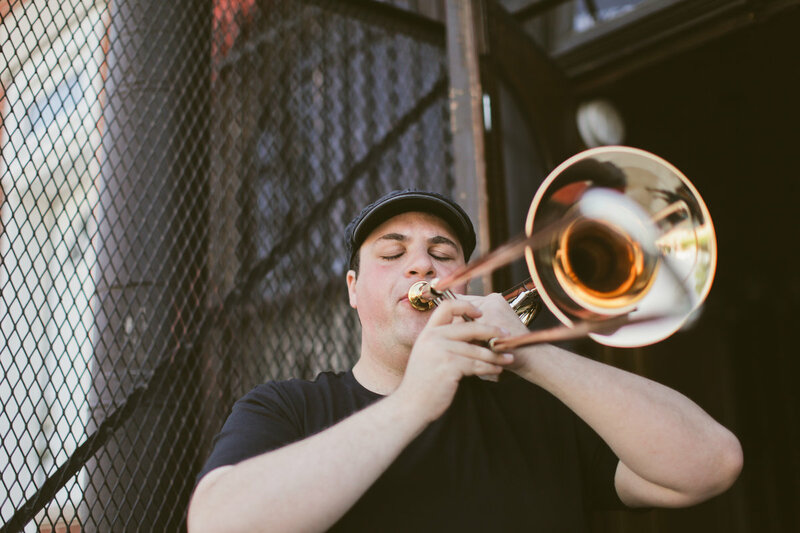 This month, local trombonist Dan Blacksberg is hosting Encounters at The Mothership, a four-day jazz event that runs February 7 through the 10th at West Philly venue The Mothership. Each evening’s lineup will feature a combination solo compositions, and ensemble-like groups that will play both original and improvised music. A fixture of the Philly instrumental scene, Blacksberg is known for his work as a klezmer musician primarily, though he also ventures into jazz and experimental tunes. He’ll kick things off on the first night with a solo performance, which will be followed by the group Out of Heaven, which has formed specifically for the event and features pedal steel virtuoso Susan Alcorn. The following three nights include a variety of solo musicians including violist/violinist Veronica MJ and trumpeter Tessa Ellis, and groups including Temple University’s Boyer College Electroacoustic Ensemble Project. On Feb. 9, iconic saxophonists Marshall Allen and Danny Ray Thompson, best known for their work with Sun Ra Arkestra, will perform. Tickets will be available at the door. Find more information on the XPN Concert Calendar and see the full four-day lineup below.